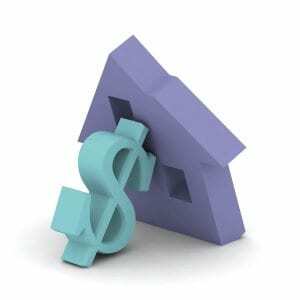 Loan Modification: What is it? Loan modifications, simply put, are permanent changes in one or more of the terms of your mortgage loan. These changes or loan modifications usually allow the loan to be reinstated or brought current. The goal is that the monthly payment will be adjusted to an amount you, the borrower, can afford. This is not always the case. Other common adjustments made through a modification are changes to the amount owed, also known as “principal reduction”, and extending the term or length of the loan to allow any missed payments to be made. A loan modification is different from a refinance in that it is an in-house adjustment to your mortgage terms made by your present mortgage lender not a third-party or new mortgage lender. Unless you qualify under a mandatory government program, most loan modifications are at the discretion of the mortgage lender. To repeat, loan modifications are not a right. So be diplomatic and patient with your lender when you are requesting one. If your house has already be listed for a foreclosure sale you should speak immediately with an attorney. In most instances, once a foreclosure sale is set the mortgage company WILL NOT approve the modification. In many cases the mortgage representative will say not to worry. However, every day you get closer to the foreclosure sale date is one day less you have to save your house. Don’t wait. If you receive a foreclosure sale notification – contact us immediately. Loan modification assistance is a phone call away. TO DISCUSS A FORECLOSURE OR LOAN MODIFICATION WITH A QUALIFIED ATTORNEY – CLICK HERE.